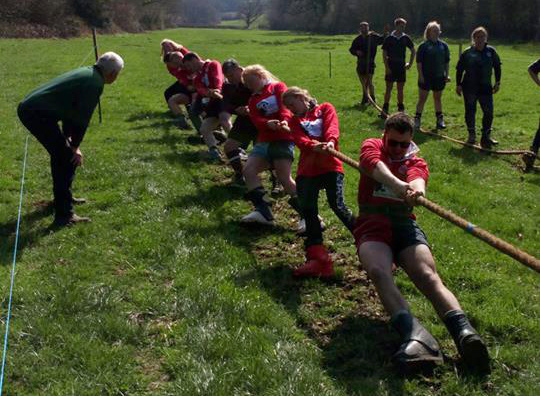 The first outdoor event of the new 2019 Tug of War season took place over the weekend on Sunday 24 March, which was the Dorset Training League at Marshwood. Six teams attended this early event to compete over 5 weight categories. The third weight of the day was the ladies 560k and this was won by Haldon ladies 2 ends to nil over Army ladies. The 4th weight was the 600kg which was won by Anstey on 11 points. Marshwood and Haldon both finished on 7 points, followed by Sandhurst on 5 points, then Army Ladies. A pull off was held for the runner up spot with Marshwood beating Haldon 2-1 to become the 600kg runners up. The final weight of the day was the Catchweight competition and the winners were Anstey on 6 points, Blandford on 2 points and Sandhurst third with 1 point. It was a good opportunity for teams in the South West area to blow away those winter cobwebs ready for the new season ahead. 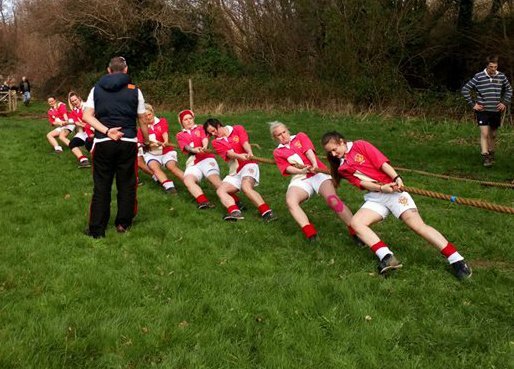 All teams has new pullers in their squads and some also used a large amount of ladies within their teams except for the Army ladies who competed throughout the day with a team made up of solely ladies. Well done to everyone who took part and we look forward to seeing you all again on the 2019 circuit very soon. Photo: Army Ladies in action. Results and photos courtesy of Nick Major.